Here is a step-by-step how-to on deploying Enonic CMS, a popular content management system built on Java, to the Jelastic cloud. 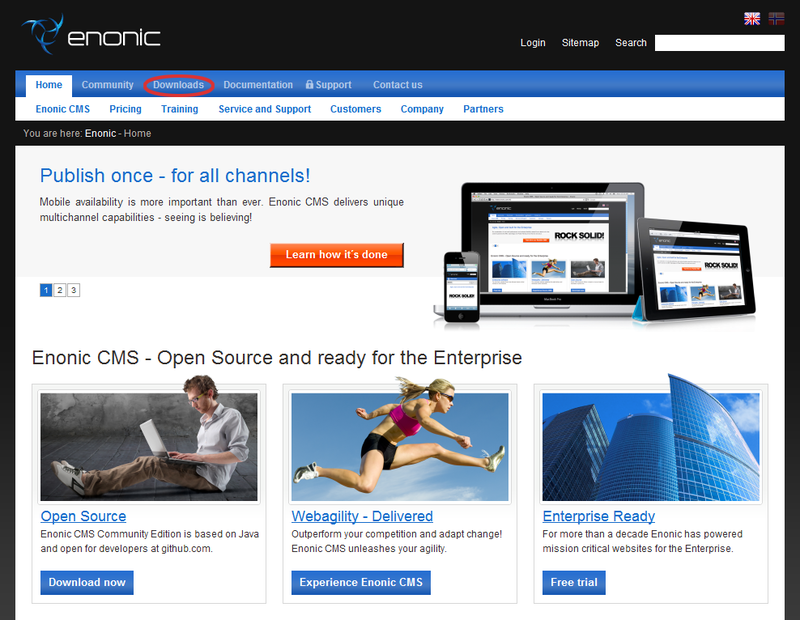 Enonic CMS is flexible, easy to use solution and supports all major databases and application servers. Jelastic can run and scale any Java application with no code changes required, so the steps we describe here are applicable to most Java applications. 2. Click Create environment to set up a new environment in Jelastic. 3. 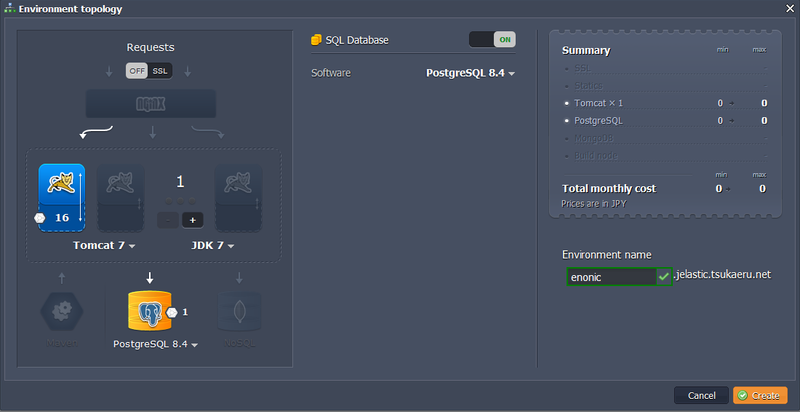 In the Environment topology window, select Tomcat 7 as your application server, pick PostgreSQL as a database you want to use, type your environment name, for example, enonic, and click Create. 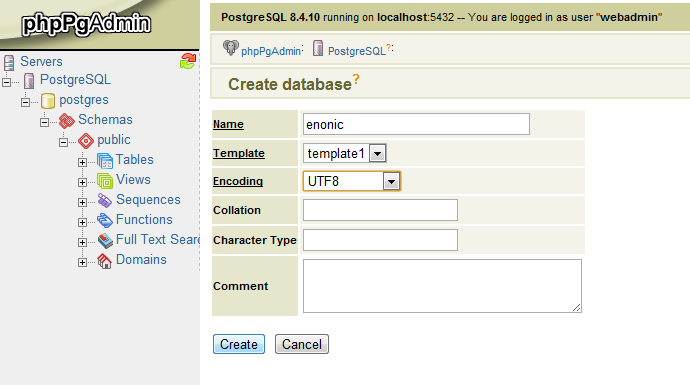 In a minute your environment with both Tomcat 7 and PostgreSQL will be successfully created. 1. Go to enonic.com and click Downloads. 2. 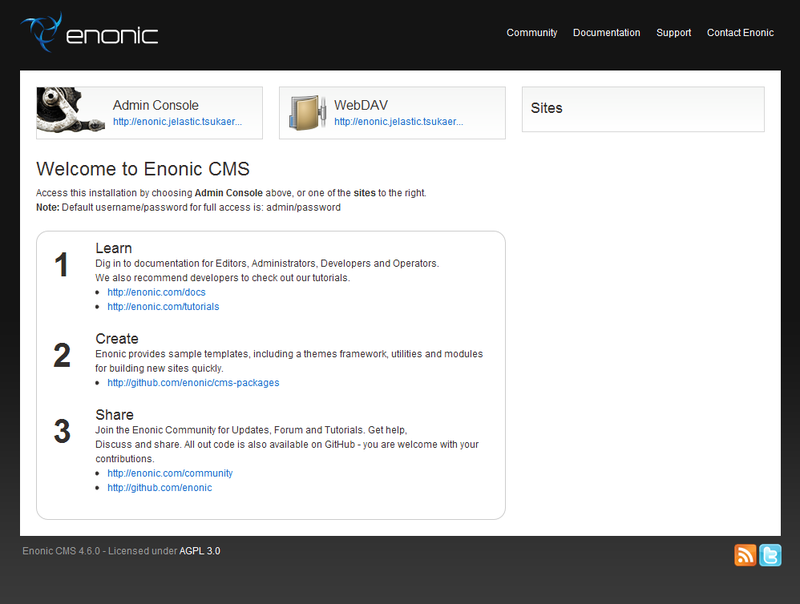 Download the latest Enonic CMS distribution as a zip file. 3. Unzip the package, you have just downloaded. 4. 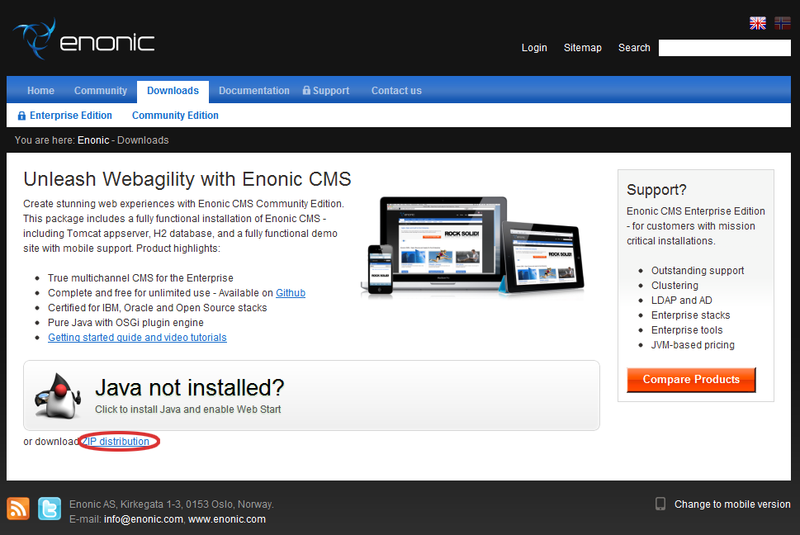 Go back to Jelastic dashboard and upload cms.war (enonic-cms-4.6.0/webapp/cms.war) to the Deployment manager. 5. Once the package is in Jelastic, deploy it to your environment. 1. Click Open in browser button for PostgreSQL. 2. While you were creating the environment, Jelastic sent you an email with credentials to the database. Create a new role using these credentials. 3. Then create the database with the application. 1. 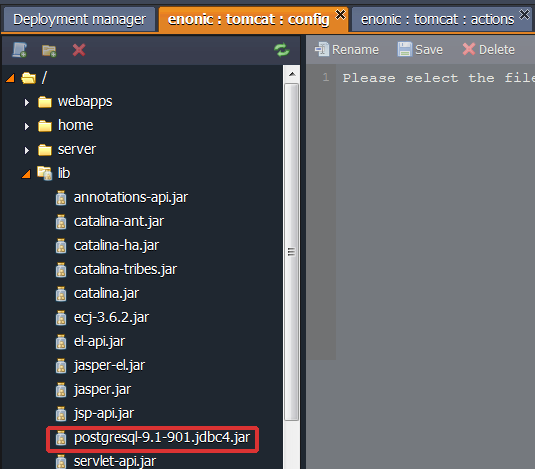 Go back to Jelastic and click the Config button for Tomcat. 2. 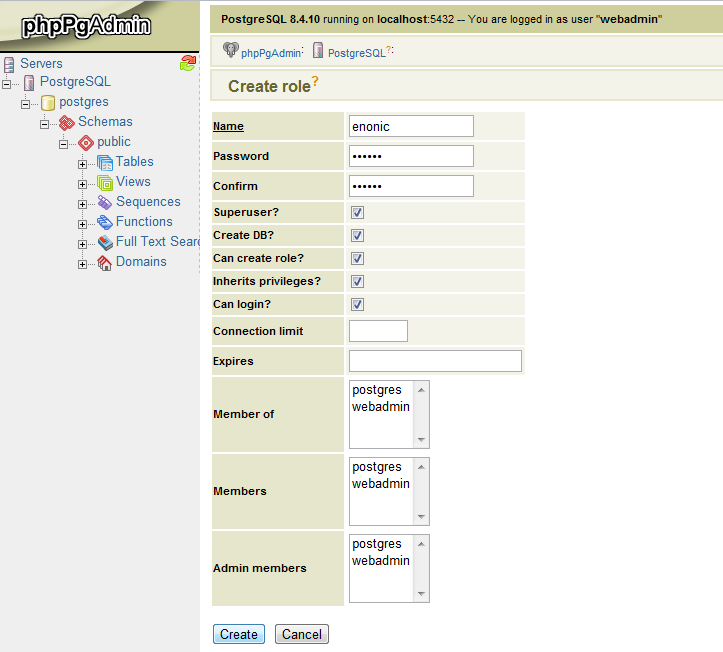 Navigate to the server directory and set the database configuration (database URL, username and password). 3. Upload PostgreSQL connector to the lib folder. 4. Restart Tomcat in order to apply the new configuration parameters. Now you can run your application in a web browser and enjoy!